Moist, fluffy and yummy. It wasn’t too sweet for the palate. Still, delectable for both the adult and children. The making method was adapted from a website, to turn an improvised cake from whatever I had in my kitchen pantry. This is the easiest banana recipe I have tried so far. Yes, you don’t need electrical mixer to blend the ingredients. Stove and balloon whisk were used here. Yogurt to be added to make it less sweet and more refreshing. I think you will like this for your toddler as well as any family member you loved. (1) Melt sugar, cold butter and vanilla essence in saucepan over low heat. Gently stir to avoid burning. (2) Remove saucepan from stove and let it cool a little before adding yogurt. Stir using a whisk to combine well. (3) Beat in egg. Stir vigorously to blend. Then, stir in flour, followed by mashed banana. Consistency of the batter should be viscous. (4) Divide and pour batter into the greased tins. Bake in preheated oven at 165 deg Celsius for 30min and 175 deg Celsius for 5 minutes. Cool completely on rack before serve. 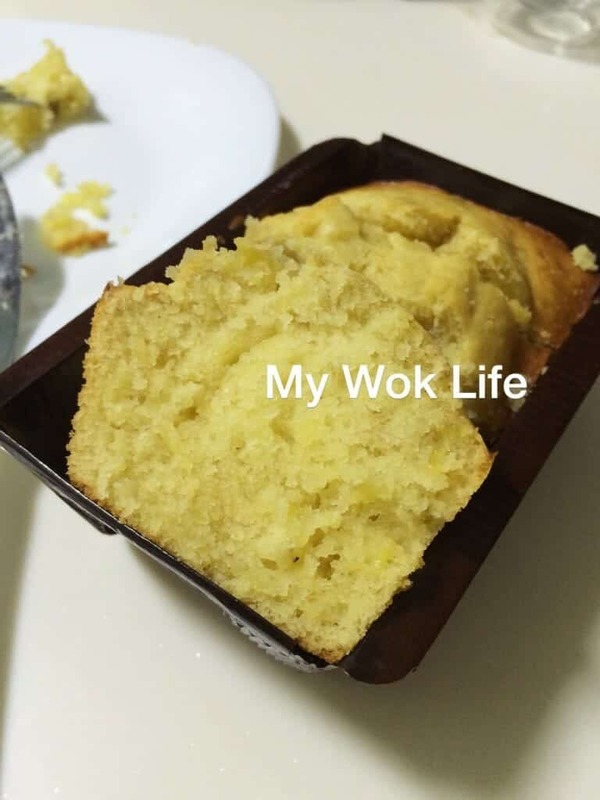 1 small slice of my banana yogurt cake counts less than 100kcal. Tips: Use a balloon whisk to do the stirring in the entire steps. 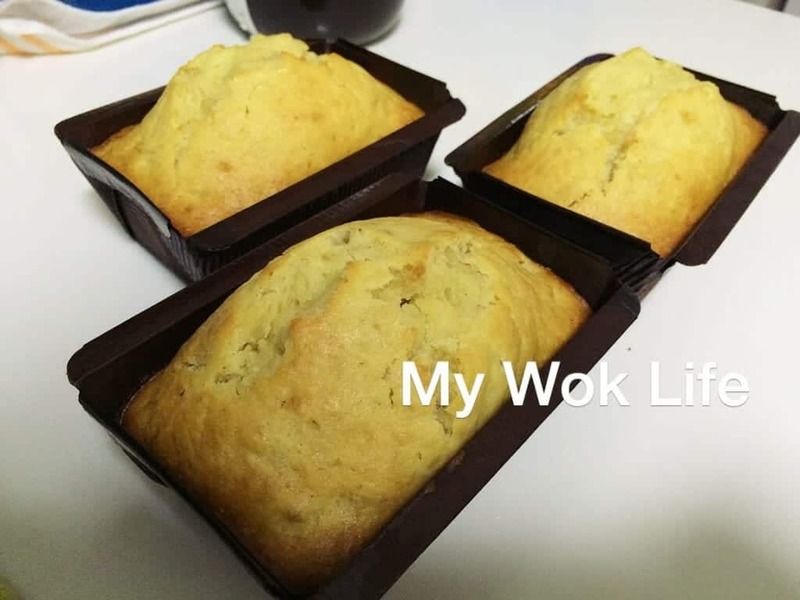 * Bananas need not to be mashed finely, if you prefer some tiny sweet bites to moist the bake. 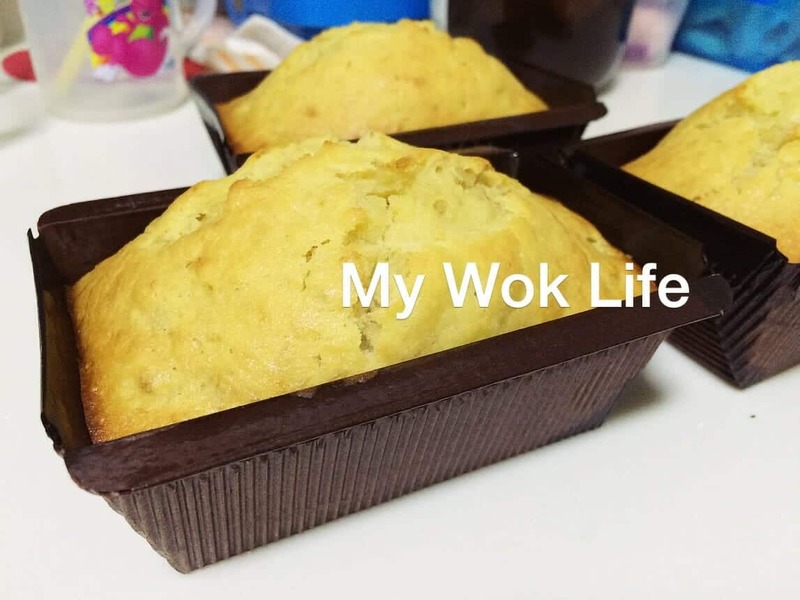 * 4 sheets in a pack S disposable baking loaf tins can be found at Daiso. Looks good. Shall try. Would this be good as muffins instead of cake?